← Is A Chief Needed For The Braves Young Rotation? The MLB BallPark Pass-Port Is An Absolute Must Purchase For Those Planning To See All 30 Stadiums! The Ballpark Pass-Port is quickly becoming the favorite item among Ballpark Chasers, to chronicle their life goal to see all 30 Major League Parks (Costs $59.95). You are able to receive the stamps kit for a small additional price of $8.95. At around $73 USD all combined – with Shipping and Handling. it will contain one of the biggest memento’s ever for a Ballpark Chaser’s best bucket list wish ever. Not only that, but the price of shipping is the same all around North America. There is not too many entities that do that for Canadians – and $4 Shipping in America is a bargain! Even if you just go to a few games per year, it will be there for you as a keepsake vault forever. I have done some crazy ballpark road trips over the last 5 years. For those that haven’t read any of my previous posts, or know the story, maybe because you are at our site for the 1st time, please head to https://mlbreports.com/gwr-tracker-1/ . In those pages, I list all of my World Record Attempt Chases. I have chronicled my streaks each time, with a book binder of evidence, filled with loose leaf paper, complete with signatures from parks officials for validation towards Guinness Book Of World Record Chases. 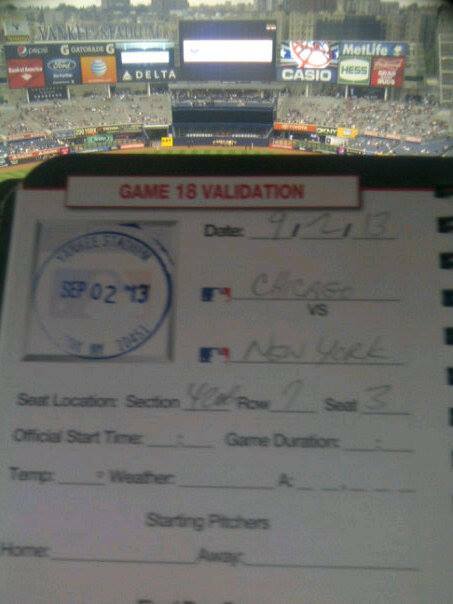 You see when I go to a ballpark for one of these said trips, I need to stay for the complete game, 1st to last pitch. I also need for a staffer at each park, or verified witness, to sign that I was present for what I said I was. What I have handed into the fine folks at Guinness World Record each time after, was ample evidence to be the record holder, however I was blown away by what I could do now using the BallPark Pass-Port Book – when I learned of its uniqueness. All 30 of the MLB Parks have stickers for their home parks, whether you want to stamp yourself in, or have a team official do it for you in any of the 30 cities, this is a great way to have the proper validation that you were indeed at the park. With the 2013 MLB Season ending soon, and 2014 MLB schedule being released in a week or so, this is a great gift idea for a ballpark fan at Christmas Upcoming! 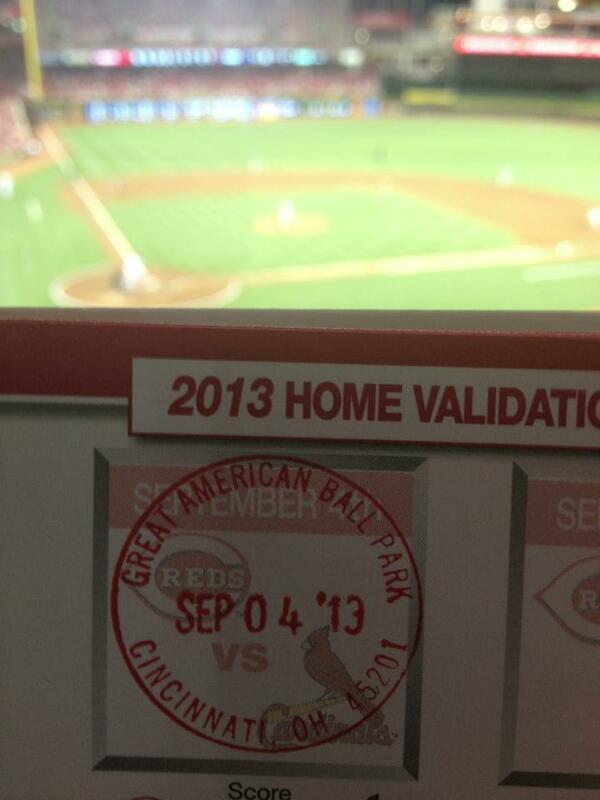 A sample picture taken from a member of the Ballpark Chasers. I truly wished I had this book when making 4 different World Record Attempts, to become the “Fastest to see all 30 MLB Parks”. It looks professional, makes it easier to document and date your visit, and is flat-out COOL! I sincerely wish that the MLB BallPark Pass-Port Book was around for my journeys in 2008, 2009 and 2012. I will also be the first to tell you, had I not had to keep such a bountiful amount of documents saying I was in the cities and ballparks, that I would quickly forget some of the dates and ballparks I have been too. The MLB BallPark Pass-Port Book also contains information guides within the book. It shows maps, seating charts and general directions on how to arrive to and from the ballpark. It is the ultimate reference guide on a persons bucket list to see them all. For those people who frequent the MLB Parks, or may even be season ticket holders, or love to go on multiple road trips, this item costs $17.95. I am a member of a “Ballpark Chaser” Fraternity both at the official site (1700 Members) – and on their Facebook Page here (over 500+ people, and the best buzz around a collectible memento from a ballpark visit now is this). I simply can’t wait for it to arrive in the mail shortly. I am half contemplating working the technology out to retro fit the park chases I have already gone on. The man who invented the idea, (Timothy Parks – yeah seriously, his last name his Parks – no lie), came up with the idea when he was crossing off all of his states when visiting all 50 of them. Parks quickly came up with a new idea to visit all 30 MLB Stadiums. Often he thought of ticket stubs, and souvenirs that could be purchased, but there wasn’t one item that could be used unilaterally throughout the whole stadium circuit. MLB has embraced his idea of the MLB BallPark Pass-Port, and soon the rest of the 30 MLB teams came on board. There is a location in each of the stadiums, where a team official can stamp you in. 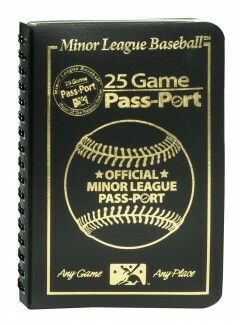 You can find those at this at the website http://www.mlbballparkpassport.com under the category Validation Sites. Again, I can’t emphasis this enough. I literally had to beg usher’s, staff, heck janitors for that reason, and in some cases, I had to have fellow fans at the game, sign my log book to prove I was there. In my 2009, I even had to send affidavits from 6 Miller Park employees to prove I was there for 1st pitch. I truly wish that the MLB would fully understand the marketing tool all of their stadiums are, and while they are coming around to the idea, there are several people making it their life journey to attend all of the parks. Endorsing the MLB BallPark Pass-Port Book and providing an avenue for us to help remember the best vacations, or favorite team seasons, ballpark road trips, is a great step in the right direction. In today’s scheme of things, $73 USD investment for 30 MLB Parks – and a lifetime of memories, beats the cheapest trinket or ballpark memorabilia you may be able to purchase. This translates less to than $2.50 a park. 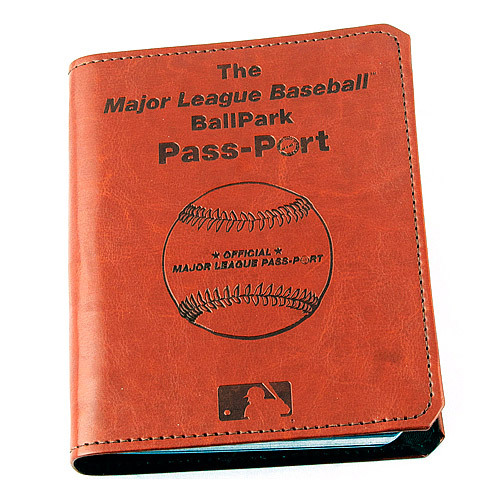 A great aspect of this is also the size of the thing, I mean I was lugging around a big notebook in paper, when I could have been carrying this wicked little MLB BallPark Pass-Port Book – that is easy to haul to all 30 MLB parks in forms of travel. While I realize that my ‘extreme chasing trips’ represent a very miniscule portion of the way most people attend parks, believe me when I tell you that the time goes by too quickly, and you simply wish there was more stuff around to help you look back on it. While I have written about every single game of 4 World Record Attempts (over 100 Games), it would be nice to look at this marvelous book to show someone in person, (who may not want to read all of the stories, yet see the trip in a state like that). Don’t forget to join the Ballpark Chasers site (its free) and take a look at the Facebook Discussion. You can gain so much valuable information to help you in your own baseball journey’s. One more note. 75% of our links on the left hand side of our site contain many great websites, from some of the most accredited ‘ballpark experts’ in the world. 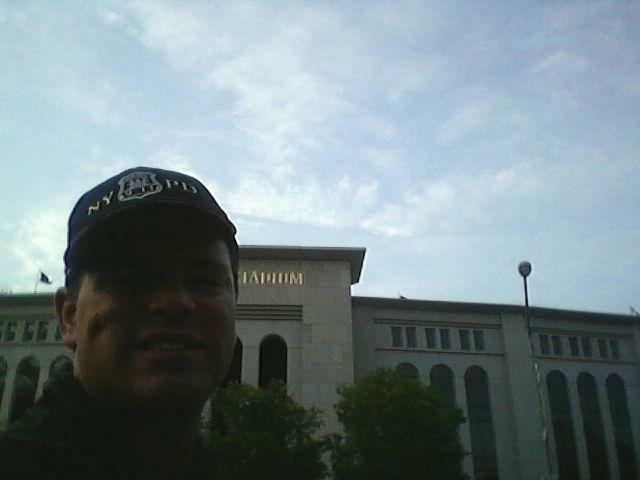 On two separate occasions (2009 and 2012) I have completed full games at The SKYDOME in Toronto, followed by a flight to New York, where I took a taxi to Yankee Stadium. Visit http://www.mlbreports.com/gwr-tracker1 to see the full trip from last year’s journey. Posted on September 5, 2013, in The Rest: Everything Baseball and tagged all 30 MLB parks, ballparkchasers.com, blogspot.com, Chuck Booth. fastest 30 ballgames, Gary Herman, Guinness World Records " Fastest To View A complete Game in All 30 MLB Parks", Major League 25 Game Passport, Minor League 25 Game Passport, Minor League Ballpark Passports, MLB park Passport, mlbpassports.com, timothy parks, www.royaltytours.blogspot.com. Bookmark the permalink. 37 Comments.